From a relaxing rain shower to a more vigorous rinse while cleaning the tub, Engage features six different settings to give you a personalized showering experience with just the push of a button. The Magnetix docking system features an innovative magnetic dock that allows an easy release, then securely snaps back into place. The Oil-rubbed bronze finish incorporates the warmth of bronze with tumbled light and dark accents, creating an antiqued look. 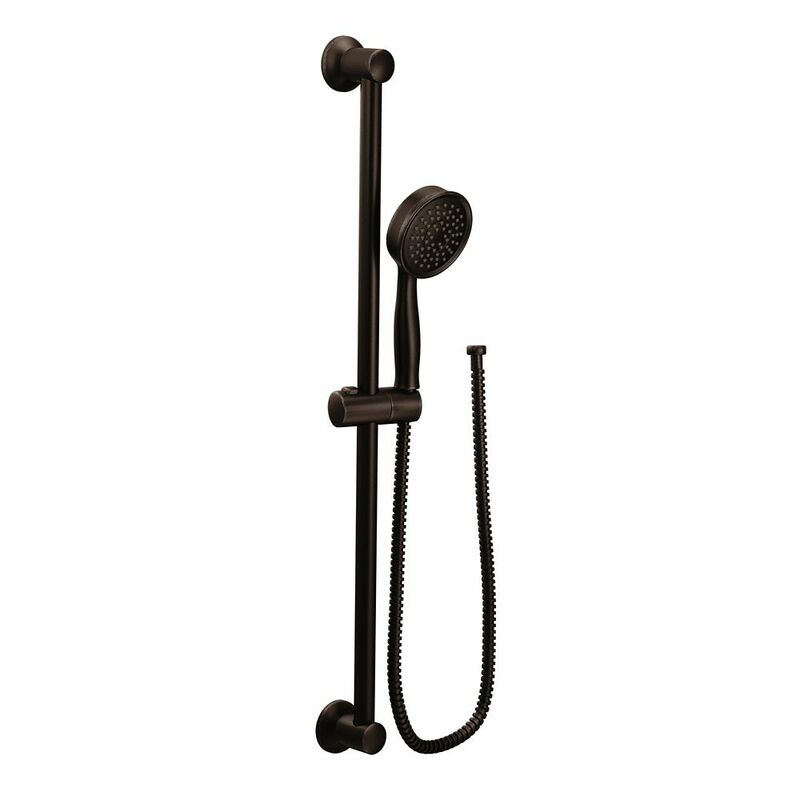 Eco-Performance Handheld Shower in Oil Rubbed Bronze From finishes that are guaranteed to last a lifetime, to faucets that perfectly balance your water pressure, Moen sets the standard for exceptional beauty and reliable, innovative design. Eco-Performance Handheld Shower in Oil Rubbed Bronze is rated 3.6 out of 5 by 13. Rated 1 out of 5 by Susan from All the parts, except the slide bar itself, were plastic.... All the parts, except the slide bar itself, were plastic. I returned it and bought an all-metal unit from Kohler. Moen does not make an all-metal unit. Rated 5 out of 5 by Charles from Good sprayer. Easy diy installation.... Good sprayer. Easy diy installation. Rated 4 out of 5 by kathyciam from Very nice update for our boat!... Very nice update for our boat! Rated 5 out of 5 by Bill from Easy to install. Seems to be a well made product.... Easy to install. Seems to be a well made product.